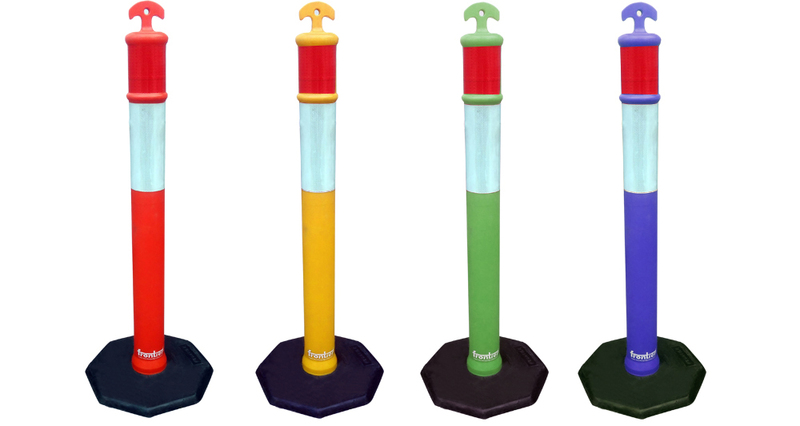 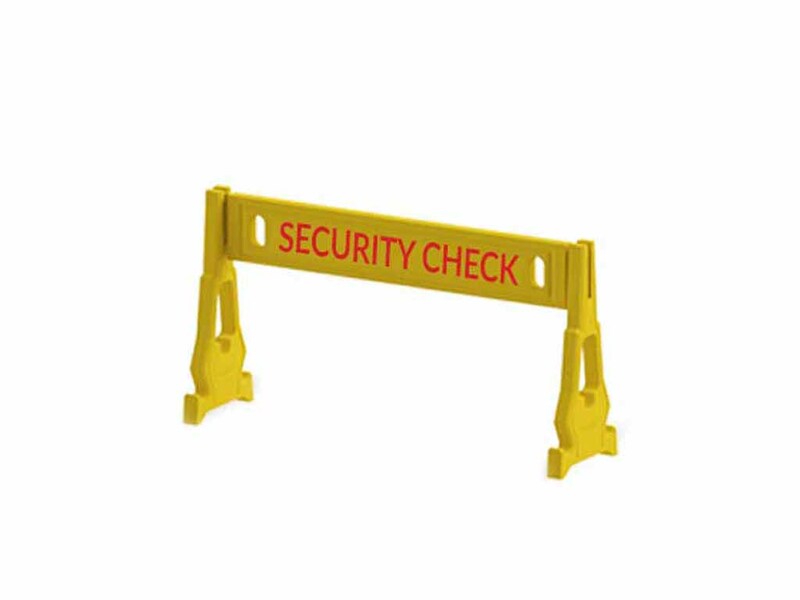 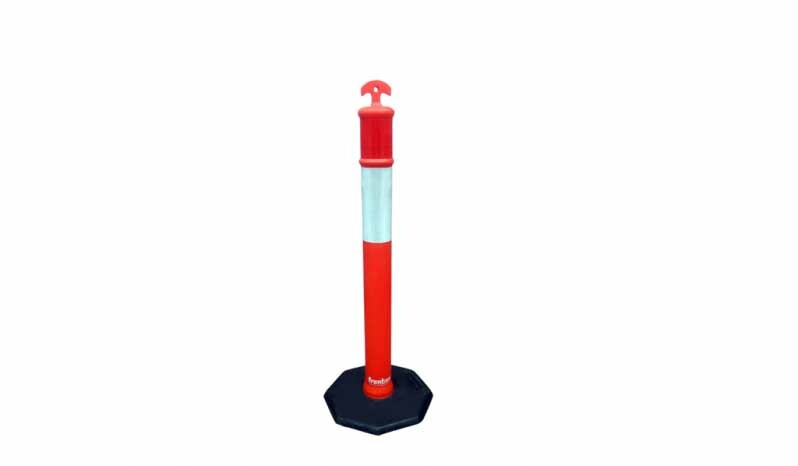 Frontier Delineator posts, also called bollards are good visual demarcations and can be used at hospitals, malls, schools etc with an attachment of message board. 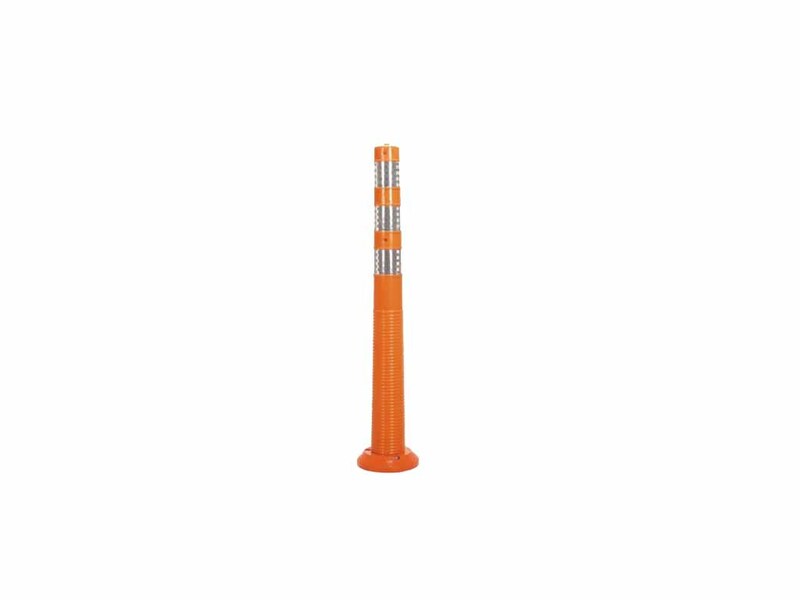 These delineator posts are designed for maximum visibility, quick setup and low maintenance, these delineator posts feature a ‘flare-bottom’ design with one-inch wide right angle flare to insure positive locking of post and base. 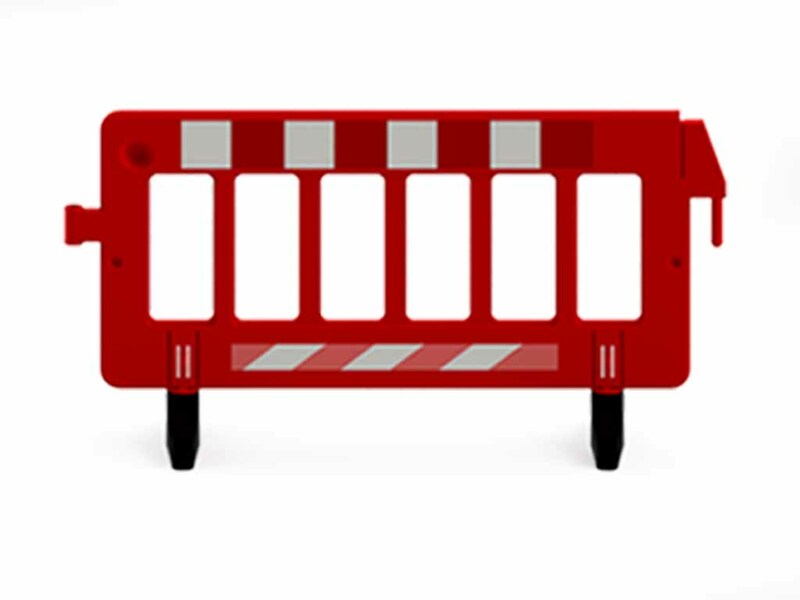 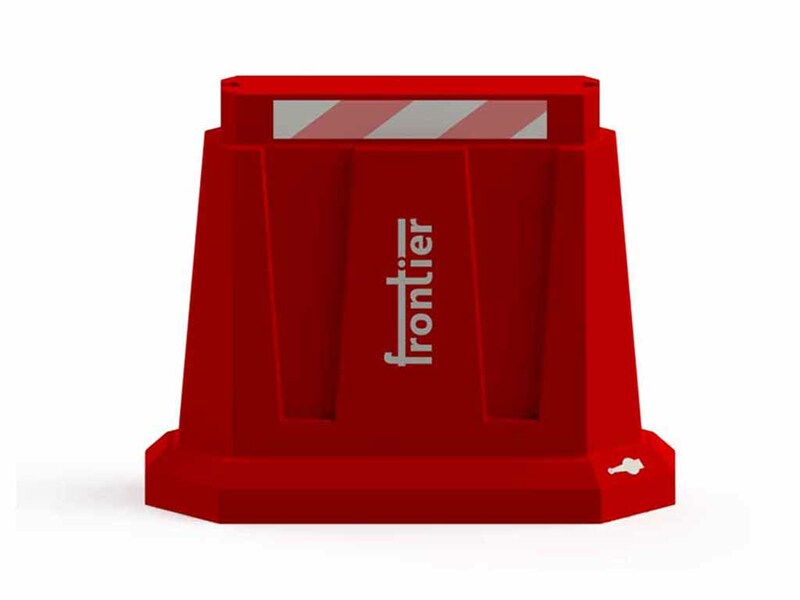 Delineator bases are made from high quality non fading RED polymer and rubber base. 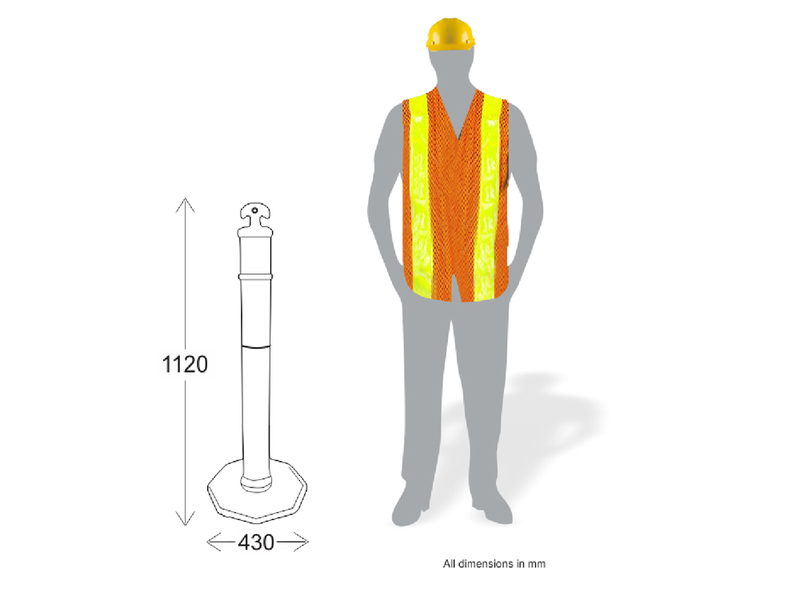 Frontier delineator posts have two sets of reflective tapes on top for greater visibility. 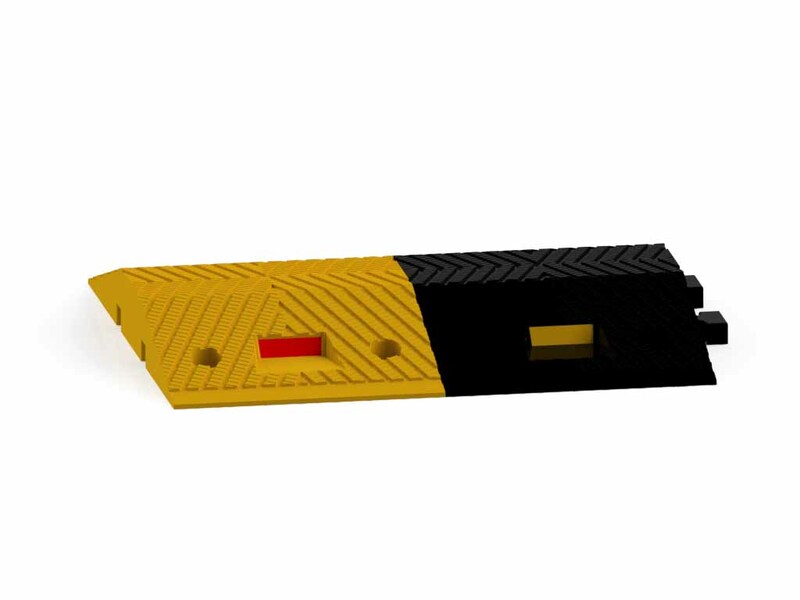 Convenient T-top carry handle and moulded in bolt hole for flashing light or message board.